We offer different type of Metal Canisters which offer mechanical protection on the jointing systems.HEX also offer the same as per customer requirements and specifications. Usage: Metal canisters are used to provide mechanical protection on the jointing systems. We offers Storage Set Sober Lid With Ribs to our clients. Exclusive quality available at hard to beat price. Being a most reliable organization, we are engaged in offering a wide range of Rectangular Oil Tin Container. 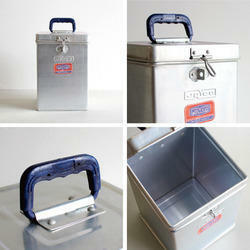 We are ranked amongst the trusted firms engaged in providing a wide range of Galvanized Metal Canisters. Metal canisters are used to provide mechanical protection on the jointing systems. 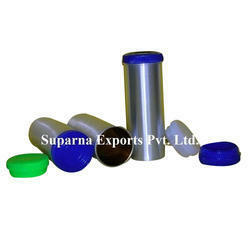 HEX offers different types of Metal Canisters i.e G.I. Wire type, G.I. Strip type, etc. Being one of the largest manufacturers in Eastern India. We manufacture various kinds of GLC (General Line Metal Cans). Presently the sizes produced by us range right from 50 ml to 50 litre cans. OTS cans are made on high speed precision body makers with welded portion duly covered with lacquer.The containers are either beaded or non beaded. OTS cans are supplied with seamed (built up ) or in flattened form. OTS Cans is widely used for packing various types of food items such as fruits, pulps, vegetables, juices, jams, meat, fish, mushroom, baked beans etc..